It's not just beer you're drinking, it's a Guinness! So why not imbibe using a tulip shaped Guinness label glass that is a perfect companion for your black gold? 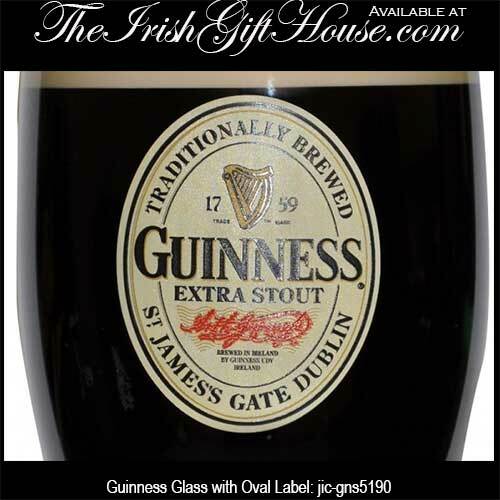 This 20 ounce Irish glass features the classic Guinness label. The tulip shape Guinness glass stands 6 1/4" tall and it is gift boxed, complements of The Irish Gift House. Smithwick's Irish ale is featured on this 20 ounce pint beer glass. 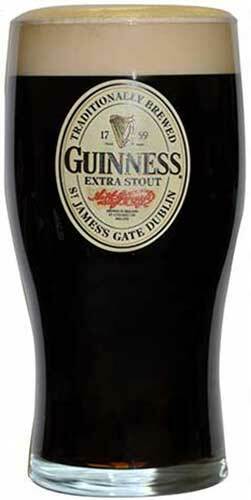 Guinness glass is a collector's edition that features the Guinness Extra Stout label. It's not just beer you're drinking, it's a Guinness! So why not imbibe using a tulip shaped Guinness glass that is the perfect companion for your pint of black gold? Irish beer glass features the famous toucan with its ever present pint of Guinness.